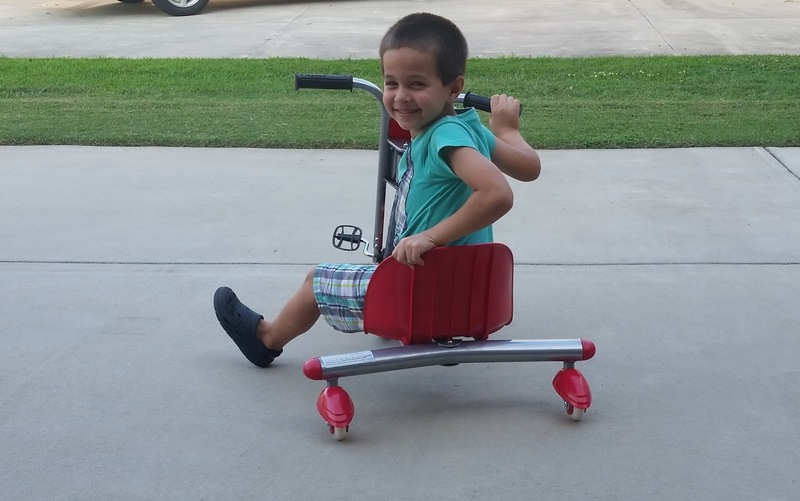 Recently, we bought a new razor trike, a modern version of hot wheels, for Little Man to ride at our house. The back wheels pivot, which causes the whole trike to spin. When Little Man and our neighbor, also a classmate, race up and down our long driveway, it’s quite entertaining. He wanted red like his buddy’s, but the stores around here only carried blue. At first, Little Man was disappointed, but that didn’t last long. 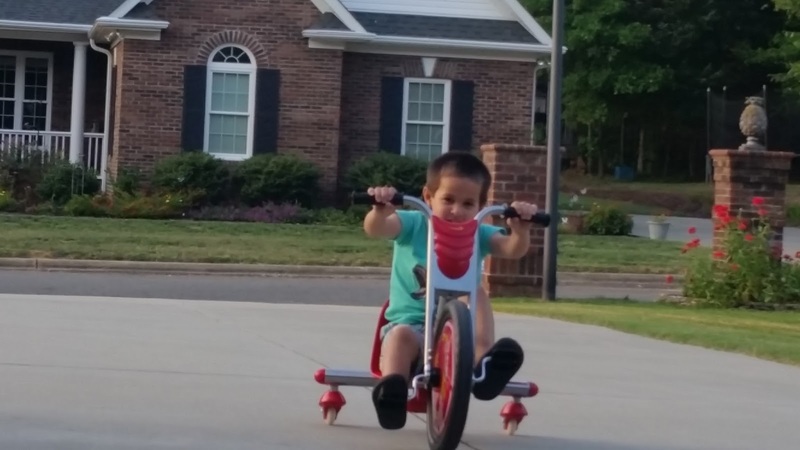 Only until he discovered the joy of riding and spinning and tumbling onto the grass in make-believe crashes, giggling alongside his new friend. And when I mentioned that Grandpa put the trike together? As if his grandpa could do anything. As if building a bike was the coolest thing ever! Love and admiration and awe and delight all swirled together and swelled to shine from his face and lift his tiny shoulders. And right then it hit me. As a daughter of the Most High King and Creator of the universe, shouldn’t the world see that look on my face as I go through life? Thank you, Tammy. Happy Tuesday! Sweet post. Love that look too.